Hack Facebook Accounts by Tab Napping Technique. | Kanishk's Technical Blog. Hack Facebook Accounts by Tab Napping Technique. Note: This Information is only for Educational Purpose and I'll not be held responsible in anyway if its used for crime.I myself do not encourage hacking in anyway. Hello Friends,Today I'll tell you all about a New way of "Hacking the Facebook by Tab Napping." Tab Napping is really nothing else but Phishing,But Tab Napping is far more intresting than Normal Phishing. As I am explaining this to you all for the First time,I would Like to Explain what is Phishing first and then What is Tab Napping. As most of you know about phishing and I also post about it for gmail account hacking. Phishing is technique through which we can hack account of any website.It is just a copy of website and you send it to your victim and when he/she login his/her password will be stored in your password website file.For Example you want to hack someone facebook account then you first of all you need a facebook phishing page (this is just like facebook login page) and upload it to your website and send it to victim when he/she login with his/her account then his/her password will be send to or save to your website password file. Tab Napping is new hacking trick through which you can't directly hack account and you will be using phishing method with tab napping then you can hack account. Actually Tab Napping is a script which you put into a site/blog and when the user visit your website/blog and read your article or play game or watch video, when user goto other tab in browser which contain other website like youtube,google etc and came back to your website then your website will be redirected to the phishing page and telling them to login with facebook/gmail/yahoo account to continue.When user enter login information he/she will be back to your page and user password will be send to you. Now,Lets start our Tab Napping Tutorial. 3.) Now,Extract the Contents of the Tab Napping Files. 4.) Now,Go to your Webhosting Account and Create a New Directory there. Note: Creating a New Directory is important as this directory will later become the Link you'll give to your Victim.I advise you to use the directory name like Hardest Game Ever. Now,After Creating the Link,Upload all the Files included in the Tab Napping Files.zip. Note: For the Folders of fb , images , js create new directories in the the existing new directory you made of Hardest Game Ever. Note: I'll be using my3gb.com to conduct this tutorial. a) open a new tab in your browser. Note: In my case, I have used the directory in which I saved all the files,that means the directory of "Hardest game ever" you can name the directory anything and change the directory name in the above link. 6.) Now,The Final Step is Giving the Link to your Victim.After you test and find that the site is working perfectly,Email the Link of your Site to your Victim and tell him that "Hey! I bet you can't beat that game,No one can beat that game.I challenge you" or something like that. After Sometime,He'll be redirected to the Facebook Log-In Form asking him to enter his Facebook ID and Password,as new to him,he would think that the game requires Facebook Connect to play it,he'll enter it. 7.) Now,to View the Password,ask him after he played that how many levels he crossed.Just formality.If he gives answer that the game was tough so closed it. Now Log-In to your Web-Hosting account and Go to the FB directory in which you stored the Password.html File,Double Click View it and You'll see his ID,Password and IP Address as Well. Click this Photo to Enlarge. To See a Live Demo- Click Here UPDATE - Demo will not work temporarily. I hope You Find this Info Useful.This Tab Napping is not only for teaching to Hack accounts but is also for being protected against it.Now that you've read it,You can stay protected against it. 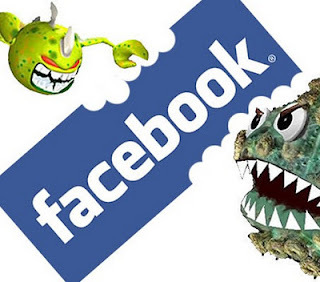 To Learn How to Post Phishing URLs to Facebook, Click Here. I thank you for reporting it,Please wait a Few minutes until the link has been repaired. Hey Users! The Above link for TAB NAPPING FILES has been repaired successfully,the password for the file has also changed. The new password has been updated in the post. Sir can we send the link to victim through fb chat? Yes you can send the link through fb chat but you need to host these files on a authentic website. Authentic website in the sense, a website where you have purchased webhosting rights and which is a registered dot com website. Facebook blocks the above mentioned websites as they recogize them as spammy websites. Bottom line is if you have your very own website with webhosting facilities, yes... you can host these files and share them among your friends via facebook. where can i find the new password.html? Can we change the game of these files. i have downloaded few .swf games for about 500 to 700 KB's in size. if yes, then how reply as soon as possible.. However, a large game file will increasing the loading time of the game. It Is Not Redirecting To Facebook ? It is programmed to redirect to the same game page. 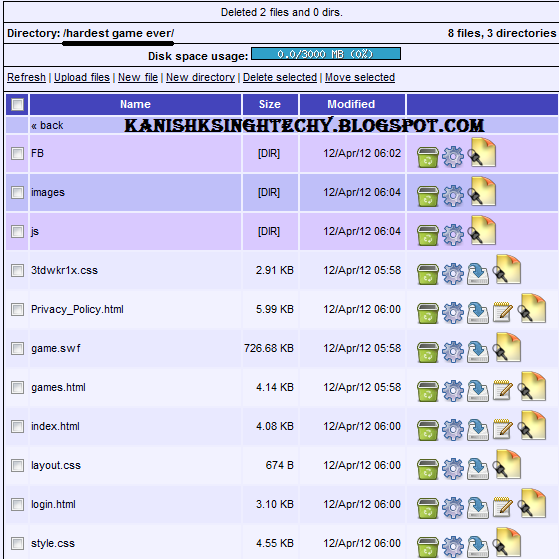 how to create directory sir?